Assessments are a current hot topic in Guilderland. What does it mean to you? Find out Thursday, April 11 at 7 p.m. Guilderland Assessor Karen Van Wagenen, and Assessment Review Hearing Officer Tony Cantore will explain the assessment review process and answer questions. Please register online, by phone or in person. 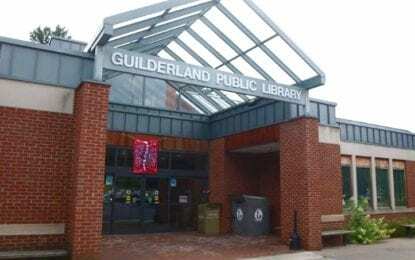 For the past 18 months, we’ve listened to over 2,100 citizens of Guilderland voice their opinions on the library’s needs, and now our May 21 referendum is fast approaching. Come to an open meeting to hear about the final proposal—how it will meet present and future community needs, and what it will cost if approved. Library Director Tim Wiles, Architect Paul Mays, and Library Board members will present this information and answer your questions: Tuesday, April 16 at 4 p.m. and 6:30 p.m., and Thursday, May 2 at 6:30 p.m. When the second Saturday of the month rolls around, you can be sure our Better Books Sale is happening. Frugal finds of books, DVDs and CDs await, Saturday, April 13 from 10 a.m. to 4 p.m. Happy hunting! Come on get happy at our special Saturday edition of 3 Little Birds, April 13 at 10:30 a.m. Sing, dance and join Penny, Poppy & Pete for a fun-filled class your whole family will enjoy. This dynamic and interactive session of music and movement is for children ages birth to 5 years old, plus their caregivers. Our popular 3 Little Birds program has been on hiatus, but will return Friday, May 3 at 10:30 a.m.
Our Helderberg Room walls are exploding with vibrant artwork of Guilderland Elementary School students. 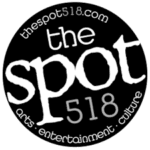 Come peek at the burgeoning talent in our community. This exhibit continues throughout April.